What started out as a hobby for Alan Paris '81 evolved into a 10,000+ collection of news photographs chronicling major events of the 20th century. 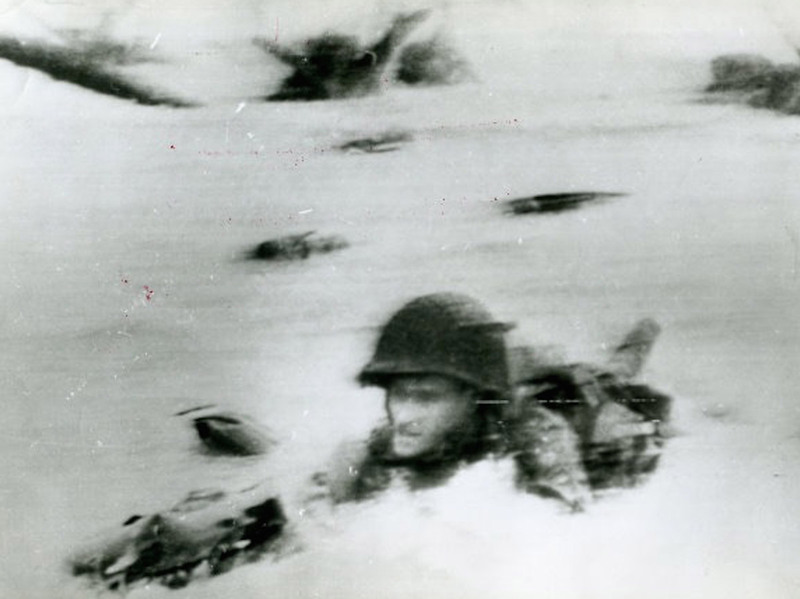 The photo is a little blurry, but there’s a good reason why: German shells were pounding Omaha Beach and the ground was shaking when renowned war photographer Robert Capa snapped it as he waded ashore with American soldiers on D-Day, June 6, 1944. Capa’s iconic image of a soldier heading for the beach was one of the first news photos to reach the United States just days after the Normandy invasion. It is one of the thousands of photographs chronicling major events in the 20th century collected by Alan Paris ’81. More than 10,000 photos from Paris’s collection were recently acquired by the Briscoe Center for American History at the University of Texas at Austin. The photos include the raising of the American flag by soldiers on Iwo Jima, masked terrorists at the 1972 Summer Olympic Games in Munich, the fall of the Berlin Wall, and the execution of a Viet Cong prisoner in Vietnam. Some of Paris’s photos of the Vietnam War are on view at the Lyndon Baines Johnson Presidential Library and Museum, located adjacent to the Briscoe Center. Exhibits of other parts of Paris’s collection will be on display at the Briscoe Center next year. Paris, a management consultant now living in Sleepy Hollow, NY, came by his love of historic photos honestly. His father was a photographer for the Signal Corps during World War II, traveling with the army during campaigns in North Africa, Sicily, and Italy and earning the Bronze Star for valor. At the end of the war, he was assigned to photograph Gen. Dwight D. Eisenhower in Washington, DC, and after he left the army, he opened his own photography studio in Bergen County, NJ. 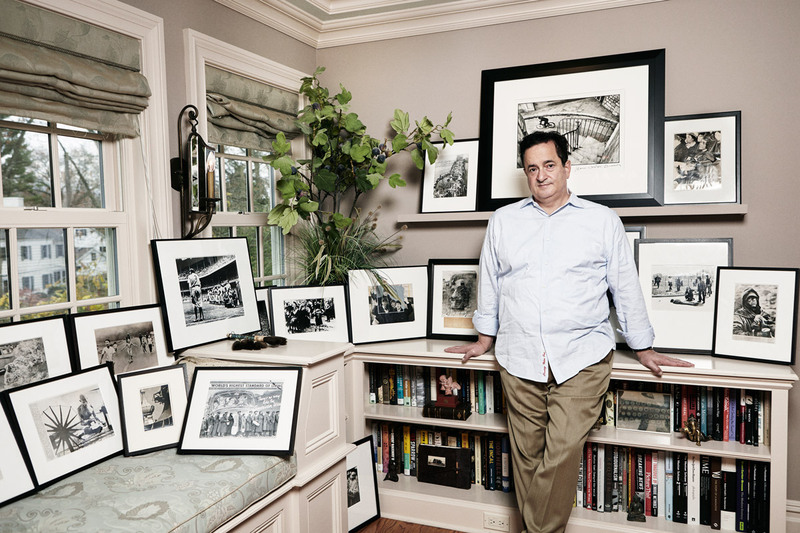 As a child, Paris earned spending money sweeping the studio and cataloging his father’s photos. 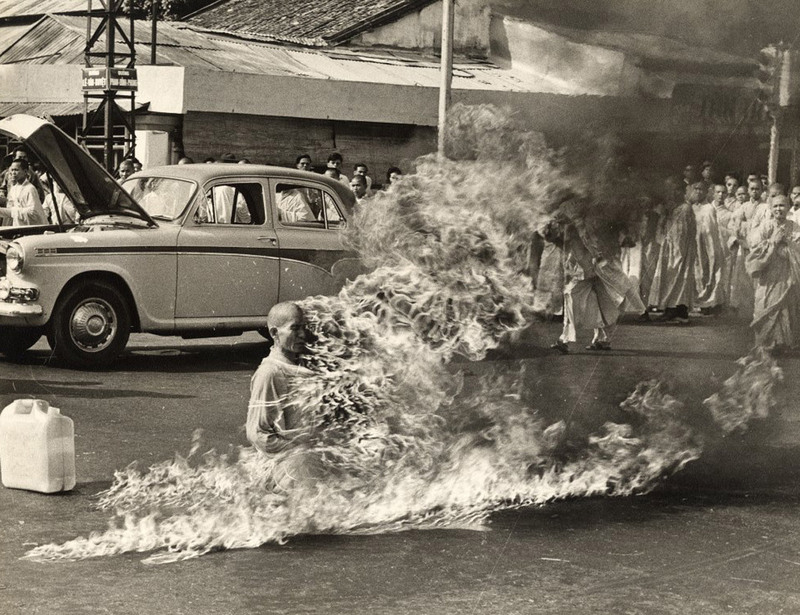 Self-immolating monk in Vietnam, 1963, by Malcolm Brown. Amassing thousands of photos, including some of the most famous and striking images of the 20th century, was never part of a preconceived plan, however. “I was just buying photos here and there, randomly, and as people found out about my hobby, they would contact me,” Paris says. One of his favorites from his early days of collecting is a snapshot of Vice President George Herbert Walker Bush at the 1988 Republican nominating convention, playing guitar with political strategist and blues enthusiast Lee Atwater. Paris obtained the photo from a friend who had taken the picture at the convention. 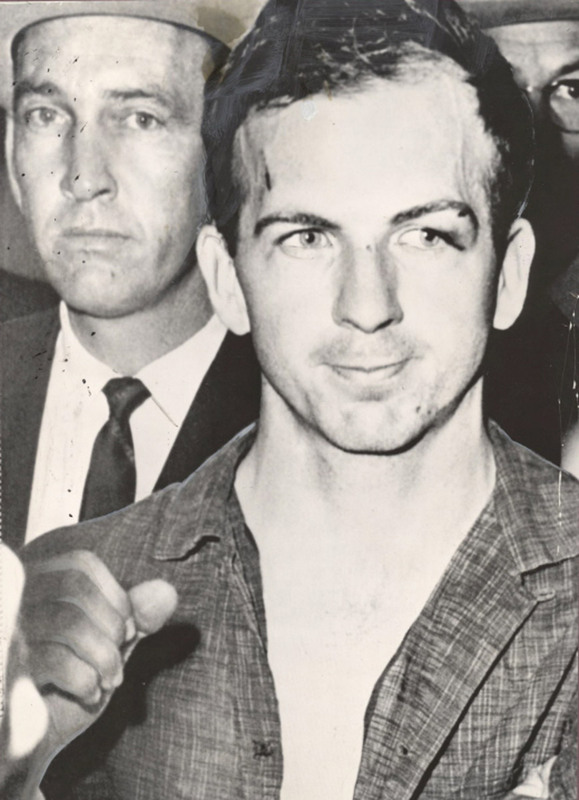 John F. Kennedy assassin Lee Harvey Oswald, 1963. As he grew more serious about his collection, Paris began to seek out people who dealt with photographs in bulk. Because photojournalism technology was changing rapidly in the 1990s, he was able to obtain lots of news photos relatively cheaply, or even for free. “Black-and-white news photography was being phased out, and newspapers and news agencies were just throwing out a lot of their old photos,” Paris explains. 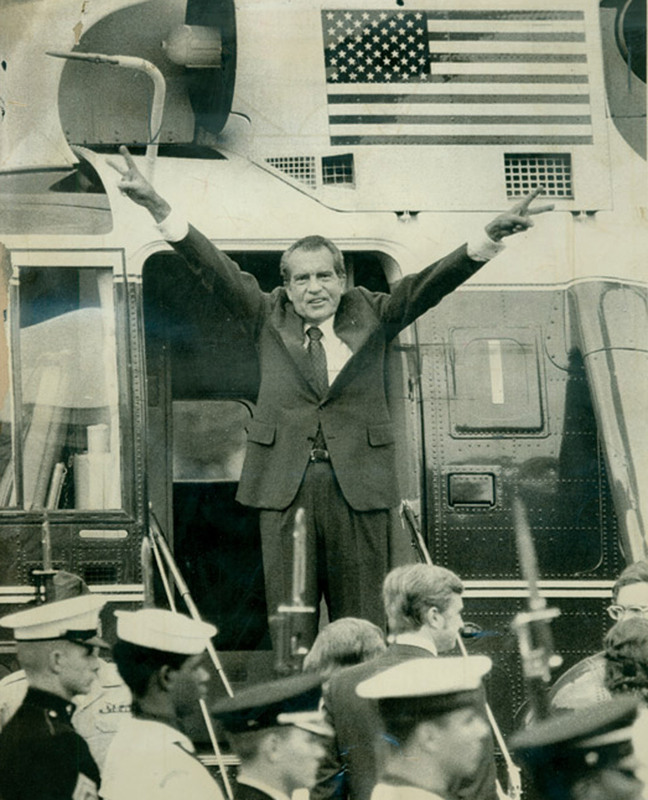 Nixon leaves the White House, 1974.